What is the cheapest way to get from Cincinnati to Greenville? The cheapest way to get from Cincinnati to Greenville is to drive which costs $40 - $60 and takes 7h 20m. What is the fastest way to get from Cincinnati to Greenville? The quickest way to get from Cincinnati to Greenville is to fly which costs $220 - $900 and takes 5h 8m. 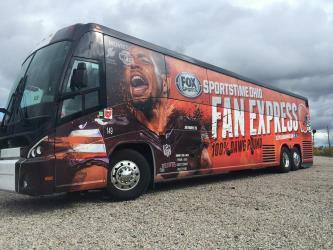 Is there a direct bus between Cincinnati and Greenville? No, there is no direct bus from Cincinnati to Greenville. However, there are services departing from University of Cincinnati, OH and arriving at Greenville via Columbus, Oh, Winston Salem, Nc and Asheville. The journey, including transfers, takes approximately 19h 50m. How far is it from Cincinnati to Greenville? The distance between Cincinnati and Greenville is 320 miles. The road distance is 424.2 miles. How do I travel from Cincinnati to Greenville without a car? 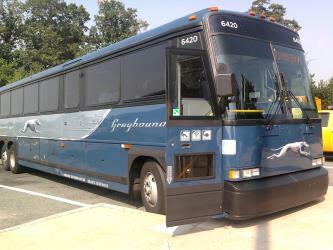 The best way to get from Cincinnati to Greenville without a car is to bus which takes 15h 40m and costs $230 - $260. How long does it take to get from Cincinnati to Greenville? 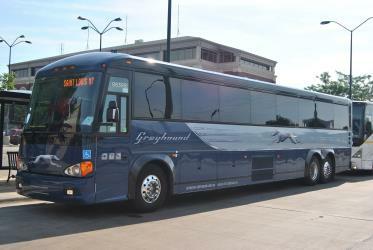 It takes approximately 5h 8m to get from Cincinnati to Greenville, including transfers. Where do I catch the Cincinnati to Greenville bus from? 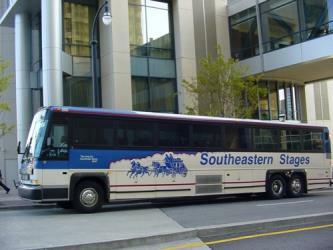 Cincinnati to Greenville bus services, operated by Barons Bus, depart from University of Cincinnati, OH station. 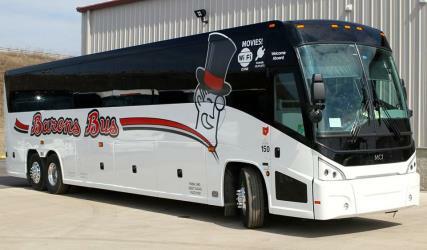 Bus or fly from Cincinnati to Greenville? The best way to get from Cincinnati to Greenville is to fly which takes 5h 8m and costs $220 - $900. 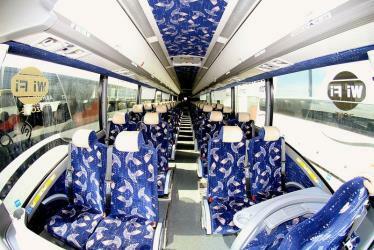 Alternatively, you can bus, which costs $230 - $260 and takes 15h 40m. How long is the flight from Cincinnati to Greenville? There is no direct flight from Covington Airport to Greenville/Spartanburg Airport. The quickest flight takes 3h 21m and has one stopover. Where does the Cincinnati to Greenville bus arrive? 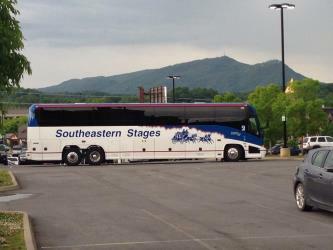 Cincinnati to Greenville bus services, operated by South Eastern Stages, arrive at Greenville station. What companies run services between Cincinnati, OH, USA and Greenville, SC, USA? Delta, American Airlines and two other airlines fly from Cincinnati to Greenville hourly. 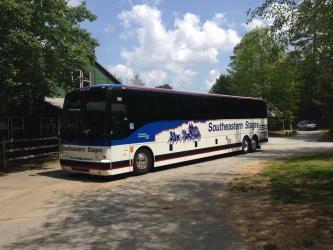 Alternatively, you can take a bus from Cincinnati to Greenville via Atlanta, Ga, Five Points Station, Doraville Station, Doraville Station, Buford Hwy@Longmire, Atlanta, GA, and Greenville, SC in around 15h 40m. Can I drive from Cincinnati to Greenville? Yes, the driving distance between Cincinnati to Greenville is 424 miles. It takes approximately 7h 20m to drive from Cincinnati to Greenville. Which airlines fly from Covington Airport to Greenville/Spartanburg Airport? Allegiant Air, United Airlines, American Airlines and Delta offer flights from Covington Airport to Greenville/Spartanburg Airport. Where can I stay near Greenville? There are 91+ hotels available in Greenville. Prices start at $68 USD per night. How do I get to Covington (CVG) Airport from Cincinnati? 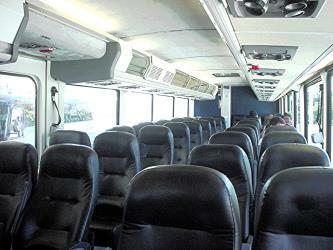 The best way to get from Cincinnati to Covington Airport is to bus which takes 21m and costs $2. Falls Park on the Reedy is a 32 acre park adjacent to downtown Greenville, South Carolina in the historic West End district. Considered the birthplace of Greenville, the park was founded in 1967 when the Carolina Foothills Garden Club reclaimed 26 acre of land that had been previously used by textile mills. Renovation accelerated in the late 1990s under Mayor Knox H. White, prompting the formation of the Falls Park Endowment, a private charity supporting ongoing development. 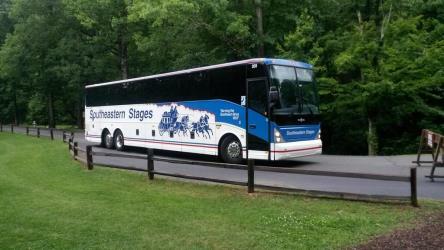 Each summer the park is home to the Upstate Shakespeare Festival. Since 1998, the Bon Secours Wellness Arena (formerly the BI-LO Center) has consistently delivered top entertainment options in South Carolina. Endearingly known as "The Well," Bon Secours Wellness Arena ("BSWA") is located in downtown Greenville, South Carolina, United States and hosts on average over 120 major events per year. In any given year, over 500,000 live entertainment enthusiasts attend family shows, concerts, and sporting events making the arena one of the most cherished and valued assets in the Upstate. Paris Mountain State Park is located five miles (8 km) north of Greenville, South Carolina. Activities available in the 1540 acre park include hiking, biking, swimming and picnicking. The 13 acre Lake Placid offers swimming and fishing. Canoes, kayaks, and pedal boats are seasonally available for rental; private boats are not permitted. Camping is allowed and campsites range from rustic, back country sites to paved sites with water and electricity hook-ups. The park's Civilian Conservation Corps (CCC) structures, including the Camp Buckhorn lodge, are listed on the National Register of Historic Places. m.
Rome2rio makes travelling from Cincinnati to Greenville easy. Rome2rio is a door-to-door travel information and booking engine, helping you get to and from any location in the world. 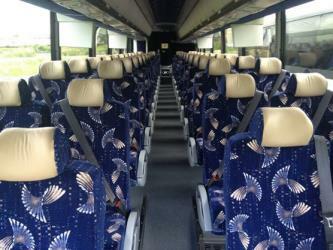 Find all the transport options for your trip from Cincinnati to Greenville right here. Rome2rio displays up to date schedules, route maps, journey times and estimated fares from relevant transport operators, ensuring you can make an informed decision about which option will suit you best. Rome2rio also offers online bookings for selected operators, making reservations easy and straightforward.